Achieving compliance to ensure patient safety, while maintaining a focus on patient care. As the final link in the supply chain before patient dispensation, both U.S. and EU healthcare organizations and pharmacies play a critical role in maintaining drug safety. With the EU FMD set to take effect in February 2019, European pharmacies are just beginning to understand the impact the law will have on their operations, while their U.S. counterparts are managing the first phase of DSCSA requirements and are now preparing for what comes next. Despite different requirements, there is shared risk and opportunity for these two groups with compliance: without the right systems, meeting the regulations presents risk to their operational efficiency and ability to focus on patient care; but with the proper infrastructure, serialization presents tremendous opportunity for them to make significant strides forward in how they manage their businesses, and help patients manage their health. In February 2019, those who dispense medications in the European Union must comply with new regulations outlined in the Falsified Medicines Directive (FMD). Pharmacies across the region will need to scan a new 2D DataMatrix barcode, which is applied by the manufacturer to every pack of medicines, and verify the authenticity against information held in a national system. Having the right technology in place to seamlessly perform these scans, without impacting the regular business, will be critical to maintaining patient care and established workflows for pharmacists. DSCSA requires that hospitals and pharmacies understand exactly where and how things happen in their operations. 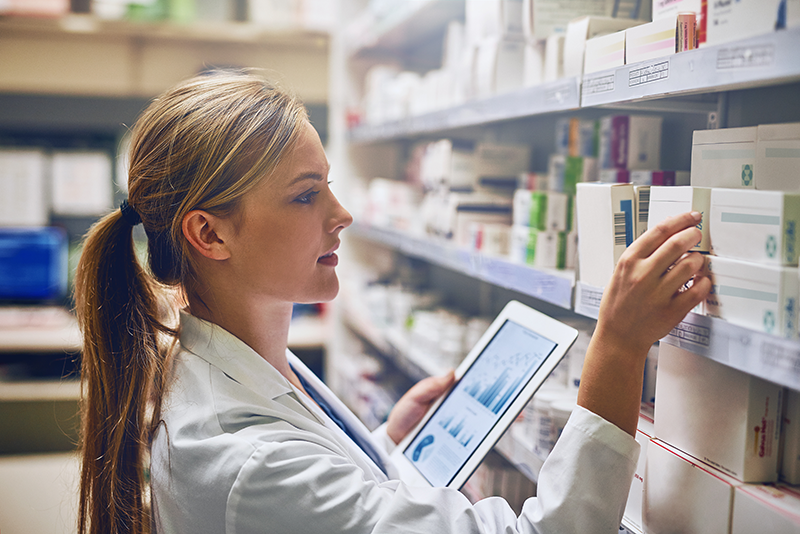 Under lot-level compliance, hospitals and pharmacies must either master and manage the intricacies of the regulations, or join forces with an experienced partner who can take all the details--and time-consuming tasks--off their plates, or risk a negative impact to their clinical productivity, operational cost, patient outcomes, and more. Although US pharmacies aren't required to receive serialized product until 2020, TraceLink customers will be able to leverage the same serialization solutions currently used by hundreds of manufacturers, and extract valuable insights from serialized product data. Buy and sell drug products with unique serial number identifiers on each package. Verify suspect product at the package level through serial number identification and lot number. Utilize integrated dashboards that leverage serialized product information about expiry dates, dispensation trends, product inventory, and more. Opt-in to receive additional product information from participating pharmaceutical manufacturers to improve real-time patient consultations.